KENWOOD PROGRAMMING SOFTWARE KPG-111DN V4.00 READ PASSWORD LOCKED RADIOS!! KENWOOD PROGRAMMING SOFTWARE KPG-175D V2.00 READ PASSWORD LOCKED RADIOS!! This touchscreen solution is tailored for use in direct sunlight conditions. Utilising polarizing and Anti-reflective filters, it provides excellent visual quality in all lighting conditions. It also uses a high brightness LED backlit TFT panel with full deep dimming capabilities. Each vertical division of the graticule is 10dB. The horizontal axis is 100MHz per division. The curve rises from -60dB at zero frequency to 18dB at 110MHz. Then is about constant to 400MHz. It is down to 10dB at 450MHz, and 0dB at 500MHz. 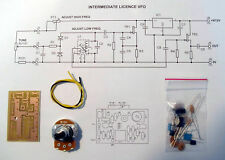 Intermediate Licence VFO PCB Kit, 3.5-3.8MHz. Designed and created in Dorset UK. This version is for those who want the suggested version. 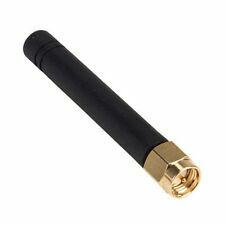 MyDEL VH-6 Portable Telescopic Antenna 6mtrs to 80m. Condition is Used but in good condition never used out doors, missing hex key to adjust length can be bought for pennies. Surplus to requirements. 80-40-20-15-10-6m tapped mobile antenna. Has wander lead, banana sockets and top s/s adjustable whip. Inbuilt PL-259. Seeed Technology Rf explorer 2.4GHz Handheld spectrum analyzer. Frequency band: 2400-2485 MHz ; Frequency span: 2-85 Mhz. Graphics LCD 128x64 pixels, great visibility outdoors ; Frequency resolution: 1Khz. 4 Band Regen Receiver Kit. Range 1.8-19MHz. Made in Dorset UK. The circuit uses a field effect transistor as an infinite impedance detector which is fed from a tuned circuit coupled to a Q multiplier circuit. When the Q multiplier is close to oscillation it considerably enhances the sensitivity of the radio for the reception of amplitude modulated signals. LDG YT-100 AUTO TUNER FT-857 WITH CABLE V.G.C NO MANUAL OR BOX UK SALE ONLY. Receiver Buffer Amplifier. See picture for more details. The pager may have codes on the back that Vodafone will need to set you up from what we gather. Turns On With An AA Battery. it to the best of our knowledge and ask that you inquire about paging services before purchasing. Receive L-type Antenna Tuning Unit. For random wire antennas. Made in Dorset UK. The L-type tuner is very simple in concept and for use with SHORT random wire antennas. It contains several coils in series with the antenna,which are selected by a switch toinput to allow inductance to be added to the antenna making up for it being too short for the wavelength required. You get what you see in the pictures. A TO Z BARGAINS. There are no hidden fees on advertised price. 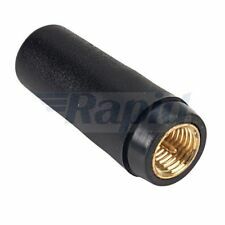 10 Racal Antenna , Military style Connector . Yaesu YE-7A Microphone as used on the. FT-101ZD / FT-901 / FT-902 range of Yaesu Transceivers. Laminated covers for durability. This compact log book has been designed for maximum convenience. It is A5 landscape size (approx. Ideal for taking out portable - no more loose log sheets getting lost or blowing away on a windy hilltop. ). 5 x VHF antenna cable , 161 Mhz, the length of antenna 85 Cm . See my other item . The brake blocks the antenna, however allows the antenna to turn in case of strong wind. The model G-650C is similar to the model G-450C, but has characteristics of a higher braking torque (see table). 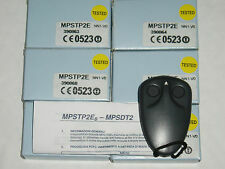 Manufactured for use with Selex / Leonardo Communications / Bowman PRC 343 (H4855) & EZPRR (H-174-4855-ELSA). These headsets are specifically designed for use with Selex / Leonardo Communications / Bowman PRC-343 (H4855) & EZPRR (H-174-4855-ELSA), as used by the British, US, Italian, French, Albanian & Kosovo Forces. Unlike any other internet linking technology, Yaesu's HRI-200 is a simple to use plug and play internet linking solution. With WIRES-X, an amateur node station connected to the Internet and Interfaced to the WIRES-X HRI-200 unit can communicate using VoIP over long distances reliably with ease. Single Band SW Regenerative Receiver PCB kit and controls. Made in Dorset UK. Fibreglass Brush Abrasive Pencil / Pen. Housed in a propelling outer case which allows the length to be easily adjusted. R2ZX VHF RECEIVER. Condition is Used. Dispatched with eBay delivery – Shutl 1 day. HAM and PMR Micophones. CB Radios & Accessories. CB Antennas. CB Accessories. HAM ANTENNAS. 4 core deluxe matt black rubberised microphone lead which tends to be flexible when stretched, thus least likely to break internally.1.8m. SBS Receiver Rx400/800 series 2 Broadcast Link. In very good used condition and comes with original printed user manual and mains lead. Full stereo with balanced outputs. Switchable over 4 frequencies; Channel 1: 865.00MHz Channel 2: 866.25MHz Channel 3: 867.50MHz Channel 4: 868.75MHz Has the monitor function aswel with front panel meter switchable between audio and signal. Adjustable mute, MPX output and L&R audio outputs. 25 way D sub connector for control and external monitoring. Her we have three working sem 52A. With all part x for each set there is 2 battery case. 1 goose with tape antenna.One headset with ptt( mic internal in the ptt) and a original case Everything is official . X1 spare pouch( tan) Plus spares see the last picture. A SUPERB HANDHELD SPECTRUM ANALYSER WITH GRAPHIC DISPLAY. NOW WITH FREE CASE. SPAN:0.1- 600 MHz. THERE IS AN OPTIONAL PADDED CASE: - THIS IS SUPPLIED FREE WITH THIS MODEL. ACCURACY: 10ppm. Freq Res: 1KHz. Never used this - I bought it to play with but have been told I am not allowed to put up another aerial / dish. Suit most types of Kenwood Radio TS950 TS50 TS480 just a few examples. This unit has a VSWR alarm feature included inside the circulator. The load port of the circulator is monitored to check for any excessive VSWR. AFL VHF Circulator with VSWR alarm. We have a VHF Circulator/Isolator for your consideration. 5 band 100W rated Low Pass Filter PCB Kit, developed by G4CFY in Dorset UK. A 5 band elliptic low pass filter for the most popular amateur bands, rated at a through power of 100W. Other options are also available as PCB built, box kit, or boxed built. We have a Aerial Facilties Ltd Power and VSWR monitor for your consideration. This little unit can be left in line with the Tx feeder to monitor power and VSWR failures. AFL VSWR and Power Monitor. VSWR Alarm 1. 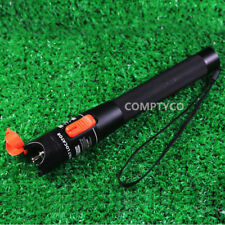 Here on offer is a telescopic pole for mounting a handheld radio transceiver aerial and holding the aerial higher up above your head for improved reception - or at least so I'm told by the person who sold me my transceiver, something to do with to putting the aerial further away from the capacitance of the human body if I recall correctly. I no longer have my transceiver so this is not useful to me now. Shortened it is 66 cm long and extended it is 105 cm. It was made from a hiking pole so it functions in the usual manner where you twist the end to lock/unlock it and extend to the desired length. This is a Zetron Model 38A CTCSS radio repeater panel. Just removed from service and in good working condition. It is complete with the orange multi-pin plug for interfacing to a base station. These are ideal if you are making up your own transmitter combiner. ALL THE PORTS AND POWER PINS ARE LABELED. THE UNIT HAD A WORKING FREQUENCY OF 12.5 GHZ TO 13 GHZ.